Wire Recorders – the label cometh! So why a label? Wire has always been oriented towards creating a more vibrant musical community – one that can not only provide a hub for musicians and patrons, but as a place that can really serve musicians and Music in a meaningful way – first in our local community, and then in the areas beyond. Distribution is an unknown frontier to most these days, and the old models no longer function. While we do not claim to have all the answers, we know we can help artists on our label to achieve greater heights with our help, both in performing at Wire, and with our help in promotion, marketing, and of course production. 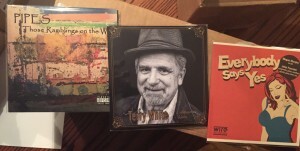 A word about our first three artists: Everybody Says Yes, Terry White, and Pipes – these are some of the best people it has ever been my privilege to work with, and they represent what Wire Recorders is all about. They all were excited to try some new production styles, and were amazingly adaptable and gracious in the studio. It helps when you have great material to start with – and they all did. But more than that, these are true ambassadors of Music with a capital ‘M’ – they share their ideas and art openly, and are all wonderful collaborators with many many other projects. As we go forward, I know they will all help to foster the kind of community we are working so hard to develop and grow. 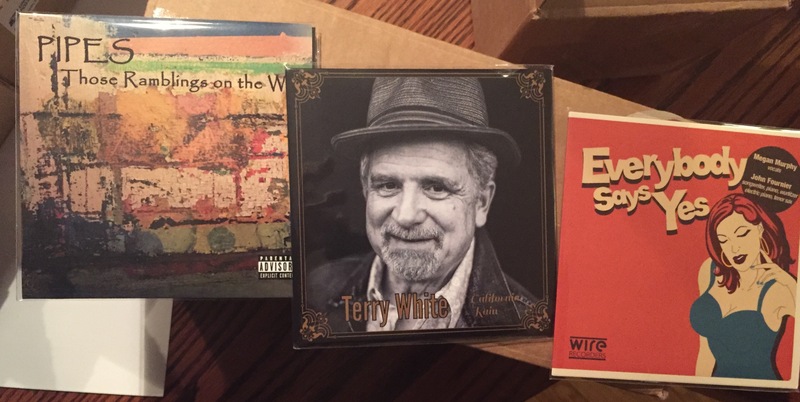 We are extremely proud of all three of these records – my partner Jon Smith and I worked hard to make them sound good, and I think we accomplished that and more. All the artists were amazing to record, and everyone who played on the records was a total pro – every label should have it so good! We hope you will come out and join us at the launch party tomorrow night, but even if you can’t, we hope you will support these acts, and support our label – either by stopping by the club and buying the records while you’re there, or getting them online, or maybe at some of the local record stores that will be stocking WR releases. We are building something special in Berwyn – come and join us!